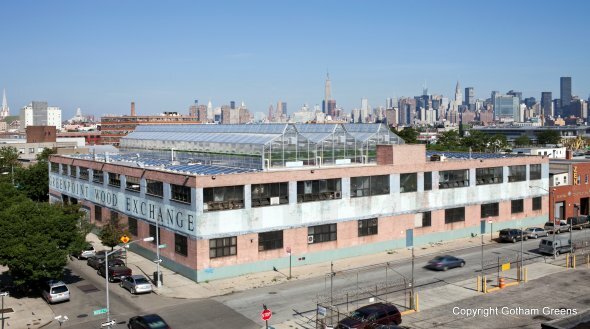 Located in Brooklyn, NY, Gotham Greens is the first commercial-scale rooftop hydroponic greenhouse in the world. By going vertical in the city, Gotham Greens is using less water, eliminating pesticides, putting an end to fertilizer runoff and leading the way to a sustainable agriculture future. This project initially spawned from the Science Barge, and due to its innovatie and enthusiastic founders attracted the attention of investors. Check out this video to get a glimpse of the team behind the project, as they announce their latest expansion efforts.